The Australian Diabetes Educator (ADE) is a quarterly online publication produced for members of the Australian Diabetes Educators Association (ADEA). The publication is distributed to a readership of around 2,100 ADEA members, subscribers and authors. ADE readership is primarily Credentialled Diabetes Educators and multidisciplinary health professionals such as Registered Nurses, Nurse Practitioners, Registered Midwives, Dietitians, Pharmacists, Exercise Physiologists, Endocrinologists, Podiatrists, Medical Practitioners, etc. It is designed for people actively working with people with diabetes in a wide variety of settings. Evolved from the ADEA Newsletter, with the first edition in July 1982, the ADE aims to inform, inspire and motivate ADEA members in order to assist in the standardisation and quality of diabetes education and care. It is intended to increase knowledge and promote best practice as well as support better self-management for people with diabetes and their carers. 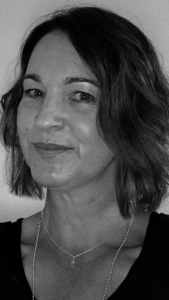 Kate is a CDE and Advanced APD and is the current editor of the Australian Diabetes Educator (ADE) and Chair of the Editorial Advisory Group (EAG). She is a Fellow of the ADEA and the Australasian Society of Lifestyle Medicine (ASLM). Kate currently divides her time between clinical practice and health and medical writing, and has a private practice in Sydney where she works mostly with individuals with diabetes and women with PCOS (who are at high risk of developing GDM and T2 diabetes). Kate has been a member of the EAG since 2005 and chair since 2015. 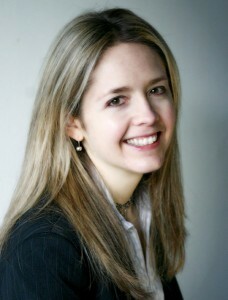 She is also a long-time editorial board member for Diabetes Management Journal (DMJ) and a board member of ASLM. Kate writes regularly for Diabetic Living magazine and the limbic Diabetes Educator/Endocrinology. She also works as a freelance writer for Diabetes Australia. 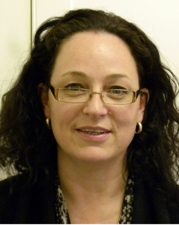 Kate is a member of the Guideline Development Group for the PCOS International Evidence-Based Guidelines and the PCOS Centre for Research Excellence (CRE) Translation Committee. She was also a member of the working parties developing the current evidence-based guidelines for the diagnosis and management of PCOS and type 1 diabetes in Australia. Kate is a recipient of the DAA Young Achievers Award, was a NSW finalist in the 2006 Telstra Business Women’s Awards, and was awarded the DAA Joan Woodhill Prize for Excellent in Research – Doctorate Award for her PhD study on low GI diets for women with PCOS. In 2015 she was awarded the inaugural ADEA Jan Baldwin National CDE of the Year. Nicole is a community-based Credentialled Diabetes Educator (Barwon Health, Newcomb Community Health Centre) and researcher with Barwon Health. Her research interests include managing/supporting older people with diabetes, personalised-care, managing medicines and risk management. In 2014, Nicole contributed to the McKellar Guidelines for Managing Older People with Diabetes in Residential and Other Aged Care Settings and completed her Master of Nursing Practice (Deakin University). Michelle Robins, an Endorsed Nurse Practitioner, has been working as a Credentialled Diabetes Educator for 25 years in services that have included tertiary hospitals and community health both in Victoria and Queensland. She has worked on 40 diabetes-related committees and working parties, presented at national and international conferences, more than 100 workshops and seminars and contributed chapters to several books. Michelle currently is employed as the Nurse Practitioner Diabetes at Northern Health and is a member of the Deakin University Conjoint Academic staff. 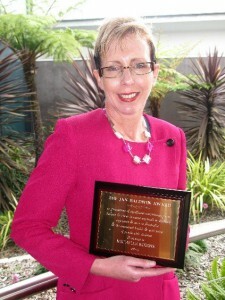 She has produced several clinical guidelines and position statements for the Australian Diabetes Educators Association, and in 2010 received the Jan Baldwin Award to recognise and reward excellence in a holistic approach to diabetes education and care. Marlene Payk is a Nurse Practitioner working in both public and private practice. She has been working as a diabetes educator for over 20 years. Marlene is currently a Professional Doctorate candidate at the University of Canberra and her research is on the clinical and psychosocial support RN CDEs provide to people with type 1 diabetes using insulin pump therapy. Her involvement in ADEA activities has included past NSW Branch Chair and mentoring members embarking on obtaining their initial credentialing. Achamma is a CDE and an APD/AN based in Townsville, Queensland. She works both in the public and private sector also with CALD and Indigenous clients/organisations. She started her career as a research assistant in a Diabetes Research Centre and her passion for improving management for people with Diabetes continues to grow. Currently she is doing a PhD research in Diabetic Foot Ulcers with James Cook University. She has been actively involved in the various committees both for ADEA and DAA, including the Pan Pacific Venous Leg Ulcer Guidelines working group among others. Her passion for training community health workers, nurses and other health professionals has seen her involvement in a number of diabetes related international projects including the World Diabetes Foundation project in Papua New Guinea, Diabetes Training and Awareness Project in Kiribati, Pacific Islands and Aus-Aid funded Diabetes training project in India. Her research interests and projects have been presented at state, national and international conferences and she works collaboratively with various universities and organisations. She has been a member of ADEA EAG since 2018. The Australian Diabetes Educator (ADE) welcomes articles and information about anything related to the practice of diabetes education and diabetes care in Australia. Submissions are assessed in accordance with their relevance, accuracy, clarity and applicability to the Australian Diabetes Educator (ADE). The ADE Editor has overall responsibility for accepting articles for publication. Articles requiring specific content knowledge for evaluation are reviewed by a member with the required expertise. The Editor reserves the right to modify the style and length of any article submitted so it conforms to the ADE’s format. Only major changes or points of clarification will be referred back to the author for approval prior to publication. The ADEA retains the right to reproduce the material published as an extract of the ADE, once the author signs acceptance of the offer of publication. The ADEA appreciates your consideration to submit articles in the ADE. Please ensure you have prepared your manuscript in line with the ADE Style Guide with general requirements for articles and our specific advice on the different article types in the templates below. Contributions may be submitted by email to ade@adea.com.au with the completed forms listed above. The ADEA is the leading association for healthcare professionals providing diabetes education and care. The Australian Diabetes Educator is the ADEA’s quarterly flagship publication and provides members with updated information on the association and advances in the field of diabetes education and care. For more information about advertising, please click to download the Australian Diabetes Educator media rates. For more information, please write to us at ade@adea.com.au. Subscriptions to the quarterly Australian Diabetes Educator (ADE) are available with the annual subscription cost is $220.00 + 10% GST.